There are more than 35,000 escalators in department stores, office buildings, and shopping malls across the country. These escalators help customers and employees move around the building efficiently and, usually, safely. Unfortunately, disastrous accidents occasionally occur and sometimes, those accidents are the result of a product defect or negligence. If you or someone you love has been injured in an escalator accident, collecting compensation for your injuries can be difficult. Injured accident victims need an experienced product defect attorney on their side from the very start. 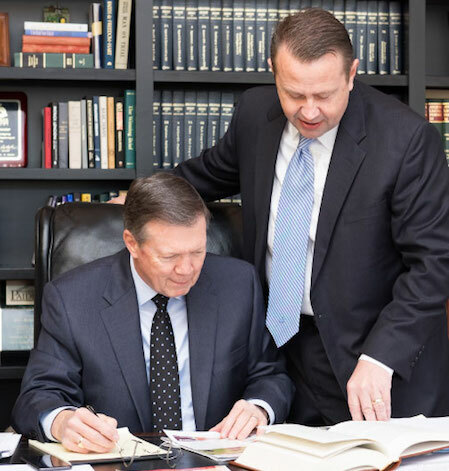 At Rainwater, Holt & Sexton, our attorneys will be able to investigate your accident to determine if a manufacturing or engineering defect was to blame or if your injuries were caused by the property owner’s negligence. Without a lawyer on your side, however, collecting the money you need to recover can be difficult. Your own negligence – Taking risks, traveling the wrong way on the escalator, or texting while riding can all result in serious and catastrophic injuries. Unfortunately, if you are to blame for your own accident and injuries it may be more difficult to collect money for your accident. Other rider’s negligence – Other escalator riders may cause accidents and injuries due to their own negligence. They may fall into you, push you down the escalator, or become distracted, resulting in an injury. If another person’s negligence was the cause of your accident, you may be able to file a claim against that person for damages. These types of accidents fall under the scope of personal injury law. Owner or operator – The property owner is responsible for maintaining the escalator according to code and ensure that all known hazards are addressed promptly. They also have a responsibility to warn customers of any hazards, such as wet or slippery surfaces, broken handrails, or out of order escalators. Depending on the nature of the accident, the property owner may be to blame for your accident. These types of accidents fall under the scope of premises liability law. Escalator manufacturer – Sometimes the escalator has a process, design, or manufacturing defect. When this occurs, the manufacturer can be held responsible for injuries their defective product has caused. This falls under the scope of product liability law and accident victims who believe that their injury was caused by a product defect need an experienced and skilled lawyer on their side immediately. Depending on your accident and the circumstances surrounding your accident, the courts may impose strict liability on the owners of the property. This is important, because if the courts define the escalator as a mode of public transportation, you only need to prove that the owner of the escalator was legally responsible for the accident. In this type of case, you do not have to prove negligence. If you’ve been injured in an escalator accident, your first step should be to report the incident to the operator or manager on duty at the time. File an accident report and then seek medical assistance as soon as possible. Be sure to let your doctor know about your accident and the details surrounding your injury. If you are able, take pictures of the accident scene and any evidence that may help your case, including broken handrails, out-of-order escalators, wet spills, or defects. After you are treated by a medical professional, your next call should be to an experienced and skilled Arkansas escalator elevator injury attorney. Our experience representing victims who’ve been hurt in escalator accidents has resulted in million-dollar verdicts for our injured clients. Most recently, our Arkansas injury attorneys were able to secure a $3 million for a client who lost her big toe in a horrific escalator accident. In December of 2013, Aisha Siddiqui was enjoying her day Christmas shopping at the Park Plaza Mall when her foot got caught in a gap in the escalator. Her injury was so severe, her big toe was amputated, and she put her plans of attending medical school on hold. The defense argued that she was only entitled to $500,000, but with Rainwater, Holt, & Sexton on her side, she was able to obtain an award that was 6x that amount. How long do I have to file an escalator injury claim? How long you have to file an escalator injury claim depends largely on the type of claim you are able to file. In general, however, injury claims need to be filed within three years from the date of the accident and injury. What if I am partially to blame for the accident? Arkansas uses a modified comparative negligence standard when assigning blame. If you are found to be 50% or more at fault for the accident, you may not be able to collect compensation for your injuries. If you are found to be less than 50% responsible for the accident, your damages will be reduced in proportion to your degree of fault. How do I know who is to blame? 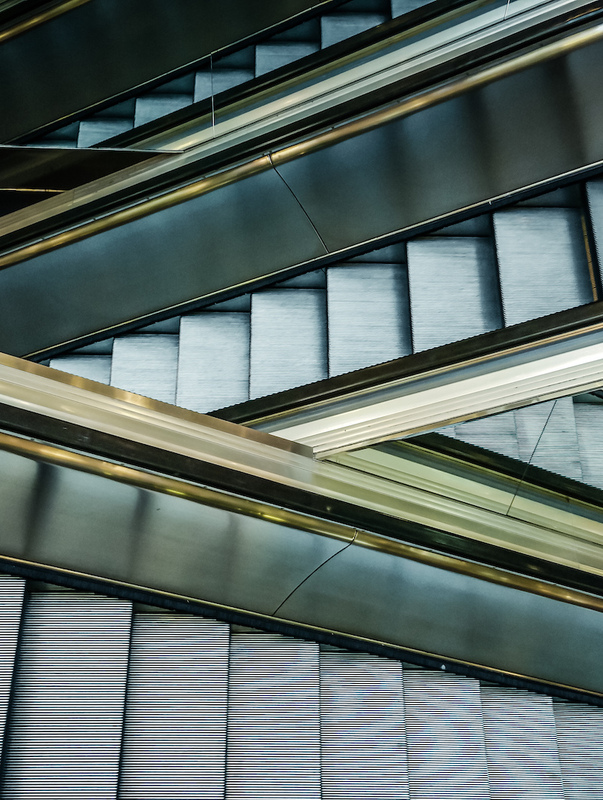 Escalator accidents can be complicated and, in some cases, multiple parties may share the liability. As such, it is important to contact an experienced Arkansas injury attorney as soon as you are able. Your attorney will need to investigate the accident closely and identify all liable parties. Being injured in an escalator accident is a terrifying and life-changing ordeal. When a department store or property manager’s negligence or a manufacturing defect has resulted in your accident and injuries, you have a right to seek compensation. With four offices in Arkansas—Little Rock, Fayetteville, Conway, and Hot Springs—our Arkansas escalator injury lawyers are easily accessible from the moment you are injured. Contact Rainwater, Holt & Sexton Injury Lawyers today. Fill out a free contact request form, which only takes a minute, or simply dial (800) 767-4815 and tell us your story.